FAD OR FAB? WHAT IS PRP AND WHY IS EVERYONE TALKING ABOUT IT? What EXACTLY is PRP and how is it performed? “PRP” is the abbreviation for “PLATELET-RICH PLASMA.” Blood consists of red blood cells, white blood cells, water and platelets, which are rich in growth factors. Growth factors send signals to skin cells, hair cells, and even bones and joints, to function optimally. To obtain PRP from a patient, a tube of blood is drawn from the patient’s arm and is spun down in a centrifuge, which then separates into 3 fractions: platelet-poor plasma (PPP), platelet-rich plasma (PRP), and red blood cells. When the PPP is removed, the blood is further spun to separate red blood cells from PRP, which is the part that is injected back into the patient or applied topically. The theory behind using PRP is that the growth factors in the PRP will augment extracellular matrix accumulation, increase cell turnover, stimulate collagen and hyaluronic acid synthesis, and lead to better skin elasticity and plumpness. What is PRP used for in dermatology? 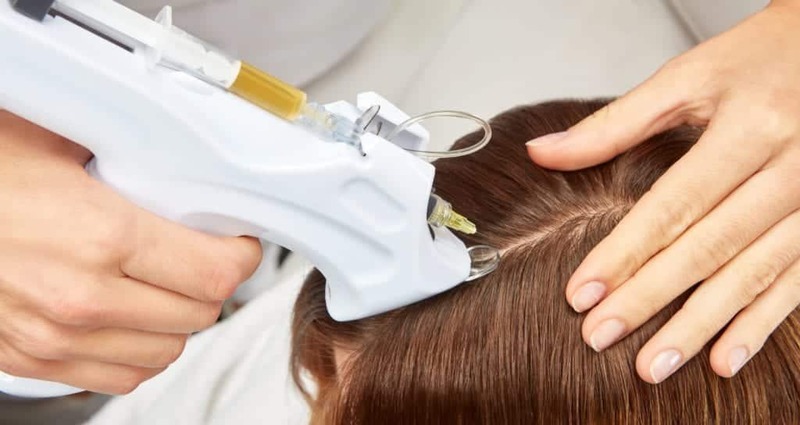 Currently, the most common use for PRP in the skin today is for hair loss, especially male-pattern or female-pattern baldness. Other hair conditions for which it has been tried include alopecia areata and inflammatory alopecias with scarring. Another application of PRP which is gaining popularity is in treating the aging face. 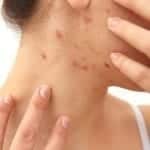 Have you heard of the “Vampire Facial?” It’s a silly name attached to the practice of injecting the platelet-rich plasma into the dermis with a needle, or else applying it topically after a microneedling or laser treatment, with the hope of stimulating cells to “wake up” or rev up their activity. What are the results one can expect from PRP? While there are no CONCLUSIVE studies indicating that PRP is beneficial in alopecia or facial rejuvenation, many studies using photographs and patient satisfaction ratings have shown that results can be impressive in both. Because there is no guarantee that the treatment will be effective, patients who are interested need to be aware of this and understand that PRP might not be the answer for their particular situation. Patients must be willing to undergo several treatment sessions, usually one month apart, in order to even begin to assess the outcome. We document each treatment session with photographs. Our experience thus far has been extremely positive, but more studies need to be completed to demonstrate hard evidence that PRP is quantifiably effective. Other than occasional mild bruising and minimal discomfort from multiple small injections, we have not seen any adverse effects from PRP. Ellen C. Gendler, M.D., Leah Ansell, M.D. and Jeremy A. Brauer, M.D. provide medical and cosmetic dermatology services to patients in the New York area. Treatments include injections such as Botox, Dysport, and Xeomin; facial filler injections like Juvéderm, Voluma, Belotero, Restylane, Radiesse, and Sculptra; fractional laser resurfacing, laser hair removal, and various other services.